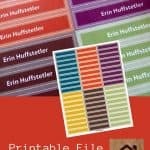 Use these free, printable file folder labels to organize your world. There are two formats available: one that will allow you to type different text onto each label, and one that will auto-fill the whole page, once you fill out a single label. Create name labels to stick on items that you don’t want to lose (think: school supplies and other belongings that your kids take out of the house). Then, make more to organize your filing cabinet, craft supplies, photos and all of those other important items that you have tucked away. 1. Go here to access the auto-fill version, or here to access version that allows you to enter different text on each label. 2. Click on the first label. This will bring up a box that explains that you can’t save the labels with your text filled in (such is the limits of pdf files). Just click the “close” button to get rid of the box. 3. Then, start filling out your labels. If you would like to change the font or type size, hold the “Ctrl” and “E” keys down at the same time. This will bring up a box with all of your font and size options. 4. 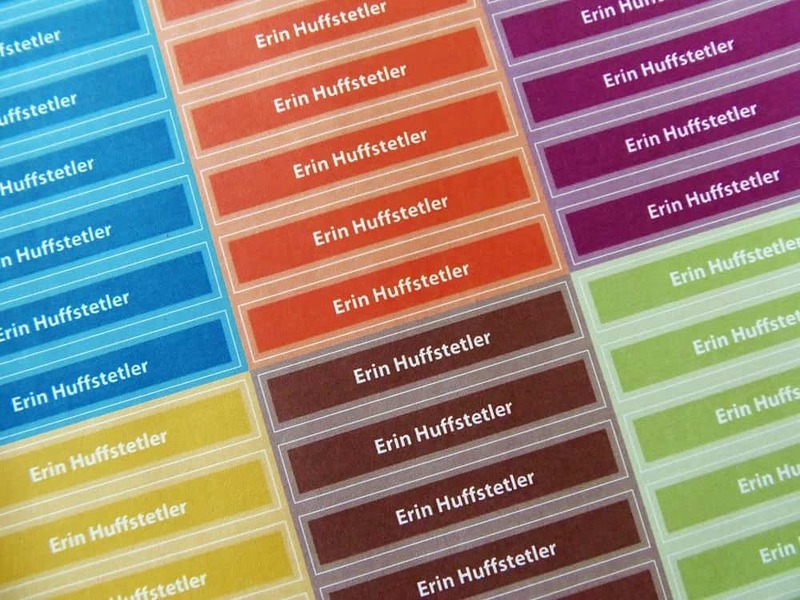 Once, you’re happy with your labels, load a sheet of label paper into your printer, and hit print. Not sure which label paper to buy? Use Avery 8165, if you have an inkjet. Use Avery 5265, if you have a laser printer. I love your colored label sheet. Thank you. I was wondering if there is any way to change the colors. I have pastel pink, blue, green, and yellow. Hi JS, I may add more colors at some point, but it probably won’t be right away, I’m afraid. 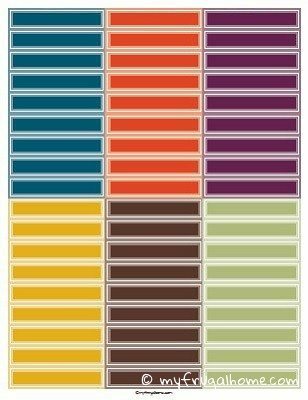 Is there an avery template # so that I will have the right labels to print? Is there an Avery template number or some other brand so I know what labels to use for this? Thank you . I’ve always printed those on full sheet label paper, so the brand doesn’t matter. Then, I just cut them out as I need them. I’m not sure if they correspond to any pre-cut labels.